Pakistan VS New Zealand, 1st ODI - Live cricket Score card between Pakistan VS New Zealand, 1st ODI, Pakistan tour of New Zealand, 2016. Check out All cricket schedule for all series of major cricket playing countries including Pakistan, South Africa, Australia, India, Sri Lanka, Bangladesh, New Zealand, West Indies, England, Zimbabwe and other International teams as well. Scores and updates are live with ball by ball in real-time. sawal hi paida nahin hota Pak Nz se win kare. Haar gya pak sub khushiyaan maanao aga k pata nae lakin kia karien tum jeeto ya haaro suno hamien apna kaam se kaam hai. May Allah Pakistan win today ameen. 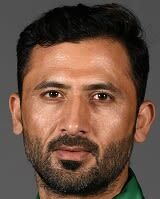 Mujhy smajh nai aati ye log sohaib ko q team me rakhte hain? ?